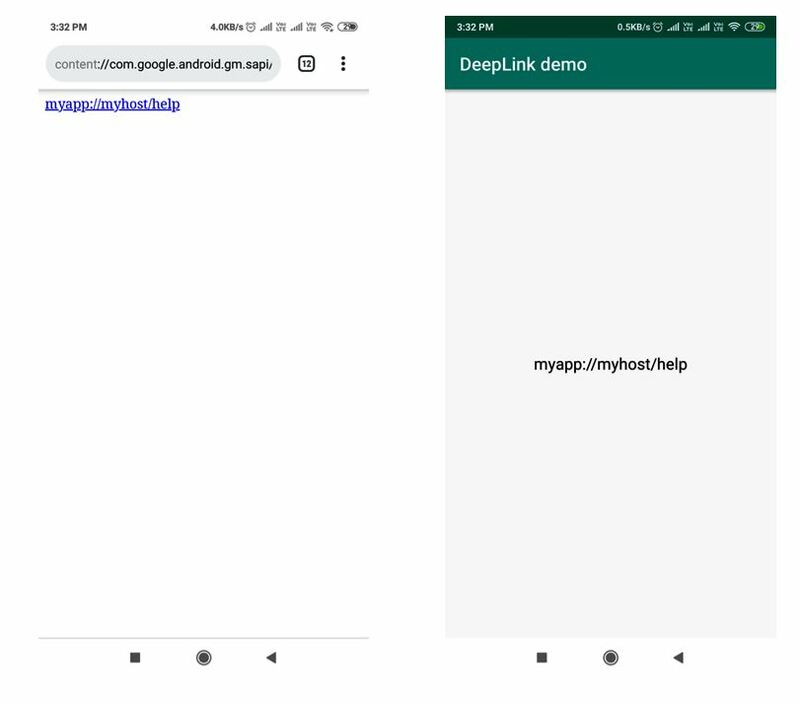 In this tutorial you will learn about android deep linking with an example. ?userid=100&client=android is a query string with key-value pairs like the hashmap in java. Deeplink is defined as a source of content to content web to your android application and in deeplink whenever user opens an URI and if that URI is deep link with any application then it opens a dialog prompt that open with that app or open with browser only. We can create deeplink over network that is connecting website directly to the application or we can create custom deplink also like myApplication://…. First of all create a new android project to understand deeplink in android app. Now make intent filter in the activity that you want to open when user click on weblink. What we are doing in this project is when we are clicking on weblink then we are opening the app and showing the weblink in the text view. Now we are designing its java class to represent weblink when user click on it on textview. Build app for about project and install it in your mobile device. Below we are designing a custom html file when user open that html file and click on the link on that html file then our app will open. Previous articleHow large is the mobile gaming advertising market?